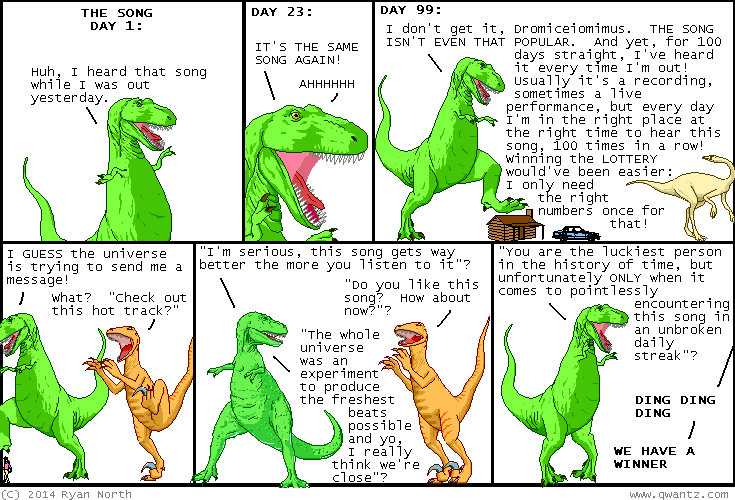 Dinosaur Comics - October 14th, 2014 - awesome fun times! October 14th, 2014: As a reward for reading down here, here is a blog with pictures of my dog!! One year ago today: a spooky tale from the spookyzone, presented by your host, Spooky Spatricia.